It is a refrain repeated in the last few election cycles. It’s about abortion, social services and legislative limits. It may sound familiar to you. If it does, here are some responses. Catholics are bound to work towards reducing the number of abortions in this country. Increases to social services do more to lower abortion rates than passing legal limits on abortion. Therefore Catholics should vote for candidates that will work on increasing social services. So what does one say? Let’s tackle the second premise first. How do we know that increases in social services do MORE to lower the abortion rate than, say, passing parental consent laws, or insisting on waiting periods or advancing fetal pain bills? Also is the fact that this argument is advanced by Catholic Democrats an attempt to justify voting for their pro-choice candidates over and against Republicans? After all, it is Republicans who normally advances such abortion limits and it is Democrats who normally oppose them. Let’s see. In support of their position, some Catholics point to a study that came out in August of 2008 by Joseph Wright, Ph.D. and Michael A. Bailey, Ph.D. titled “Reducing Abortion in America: The Effect of Economic and Social Supports.” That study, commissioned by Catholics in Alliance for the Common Good, purported that “while some states were successful at passing and enacting laws to restrict abortion procedures… there was no dramatic shift in the legal restrictions on abortion.” On the other hand, “socioeconomic policies are very blunt instruments for pursuing the goal of abortion reduction.” Therefore, socioeconomic policies “may be even more effective in reducing the number of abortions.” Got it? Social services do more to reduce abortions than do anti-abortion laws. Catholics United (which worked hand in hand with Catholics in Alliance for the Common Good) put things even more bluntly. In a study released at the same time as the previous one but titled “Reducing Abortion in America: Beyond Roe v. Wade” and written only by Dr. Wright, we read “Public policies that address the economic status of low-income families and pregnant women are therefore more likely to effectively reduce abortions in the United States than overturning Roe v. Wade.” Clear? Don’t bother overturning Roe v Wade. Rather, look to social services to save more lives. The logic here is that the number one reason given by women for seeking out an abortion is poverty. So, logically, address the issue of poverty and there will be fewer women seeking abortions. Thus the abortion rate goes down. There are several problems with this line of thought however. First, poverty is not the only reason women give. They also list reasons like career, lack of support from their partner, pressure from parents and so on. We might be able to address their ability to afford a baby, but they may still want the abortion anyway because they want to go to college; or they don’t want to raise the baby alone; or they don’t want to displease their parents; or they just don’t want to be “punished with a baby,” to use Obama’s phrase. So as the internal “logic” of this argument breaks down we need to look at those studies. Turns out, they were a farce. The data which Doctors Wright and Bailey used, particularly the data from the state of Kansas, was not reliable, so their numbers don’t work. When this was pointed out to the two doctors by Dr. Michael J. New, who has since then done extensive research in this field, even they had to admit there was a problem. So in November of 2008 a second version of the study appeared from Catholics in Alliance for the Common Good, this time only with Dr. Wright’s name on it. Bailey, it was said, didn’t have the time to respond to all the requests for clarification, so did not feel comfortable lending his name to the new draft. But there were still other problems. Their argument was based in part on the observation that legal limits on abortion didn’t have a statistically significant effect on the overall abortion rate in a state. That turned out to be false because, when looking at the effect of parental consent laws, for instance, Wright and Bailey looked at the effect of that law on the abortion rate among ALL women and not just women between the ages of 14 and 18, who still answer to parents. The parameters were faulty and so the observation is flawed too. This was simply a bad study. What about that politics question? Well it ought not surprise anyone that Catholics in Alliance for the Common Good and Catholic United were both closely tied to Democratic Party leadership. These studies were used by Democratic politicos to justify Catholic votes for candidate Obama. They absolutely were used to advance a narrative in favor of party politics. In the end, Catholics in Alliance for the Common Good pulled the study from their website, but the damage had already been done. Catholics all over the U.S. voted for Obama and those with any qualms were convinced that the study was real and properly researched. Their consciences were soothed in “knowing” that their vote for the most pro-abortion president we have ever known would ultimately save more lives. They had been duped. The problems with the second premise above don’t stop there. Some Catholics still point to abortion rates in other nations as proof that a strong social safety net does more to lower the rate of abortion than antiabortion legislation does. The comparisons made are typically between the Scandinavian nations and Latin America. So let us take a look at those. It is true that Norway and Sweden have low abortion rates. The 2008 average worldwide, according to the Guttmacher Institute, was 28 abortions per 1000 women. In that same year, Sweden had 21 abortions per 1000 women ages 15-44 years old. In Norway, the rate was 14.5 in the same year, and only 8.9 in Finland. These are low numbers in nations where abortion is legal. Some say these rates are attributable to the strong social safety net which cares for the poor in those nations and so lowers the rate. They then compare these numbers to Latin America. The story in Latin America is seemingly dire when it comes to abortion. 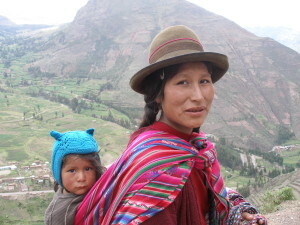 For Central and South America, the average of the region is 32 per 1000 women, the highest in the world according to Guttmacher. Abortion is illegal under almost every circumstance in most of those nations. But here’s the curious thing: being illegal one would think that it is difficult to get real statistics, so one wonders how Guttmacher or anyone else gets their stats. 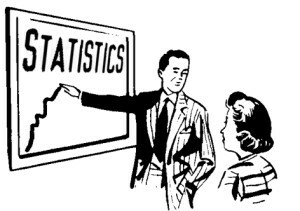 For instance, I could not find any stats for Nicaragua, Panama or El Salvador. The Guttmacher Institute claims that the rate in Guatemala in 2006 was 24 per 1000, but they changed the age range in include women 15-49, which, though a larger age range still produces a lower than the average for the region and is only a few points higher than Sweden. Costa Rica outlaws abortion too, but perhaps because they have a greater infrastructure and so perhaps better reporting, they posted 10.4 abortions per 1000 women in 2008, which is lower even than Norway. In South America it is difficult to get hard facts about Brazil. Again the Guttmacher Institute claims to know the facts. In Colombia, where numbers of abortions have been said by the former Vice Minister of Justice to be grossly inflated, Guttmacher’s 2008 rate for the country is 39 abortions per 1000 women. Abortion rates in Argentina are likewise suspect. One site claimed that it is close to 60 per 1000 women, a figure more than twice the worldwide average and which would throw off the average for Latin America. 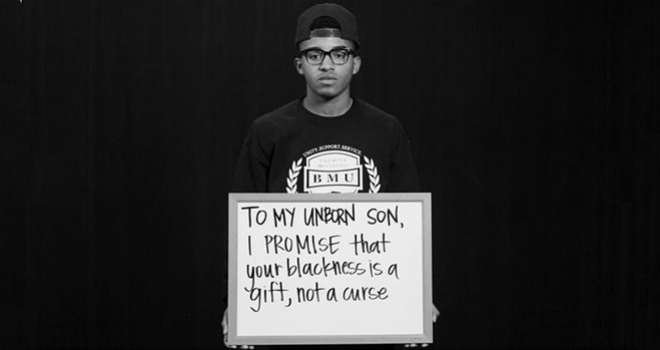 They say 40% of pregnancies end in abortion. That is a staggering stat that is simultaneously hard to believe in a country where abortion is illegal and which is still largely Catholic. How does this compare to the U.S? The abortion rate in the U.S. in 2008 was 19.5 per 1000 women. That’s pretty low considering the argument that we have an anemic social safety net when compared to Scandinavia. Our rate is lower than Sweden’s. So one must ask why, if social services are the panacea we’re looking for, is our rate lower than theirs? Things get more confusing when we compare abortion laws between nations. Remember, the argument is that social services do MORE to lower abortion rates than anti-abortion laws. In the U.S., a woman can get an abortion for basically any reason, whenever she wants and at any stage in the pregnancy, even moments before delivery. There are a few limitations regarding procedures, and, depending on the state, she might be required to get parental notification or a waiting period. For the most part, American abortion laws are abortion on demand whenever – wherever. What are the laws, though, in those Scandinavian countries like, those countries where there are such low rates? Turns out, the laws are far more restrictive than here. 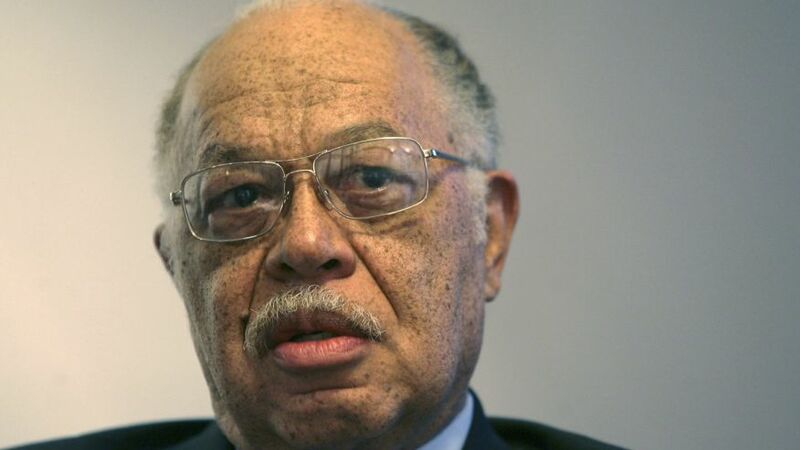 The horror of Gosnell’s clinic, where several women were sterilized one died and several babies were murdered, could never happen in Finland. Finland, with the lowest rate at only 8.9, does not allow for an abortion past the 12th week unless there are specific dire circumstances and even then it can only be approved by two physicians. Abortion is allowed for up to 20 weeks if the woman is younger than 17 and/or her physical (not mental) health is in danger, and this must be approved by the State Medical Board. Finally, if her life is in danger, an abortion can be performed up to 24 weeks but not past. In Finland, it is illegal to perform an abortion in a clinic. They must be done in a hospital. Can anyone imagine the Democratic Party agreeing to any of these limits? In Norway, with a rate of 14.5 in 2008, things are similar. Abortion on demand exists up to the 12th week. Between the 13th and 18th week a commission must approve the abortion request on medical, eugenic, humanitarian or social reasons. After the 18th week, abortion is essentially outlawed except under extraordinary circumstances. Today, abortions are not allowed under any circumstance past 21 weeks and 6 days gestation. In Sweden, where the abortion rate was higher in 2008 than it was here in the U.S., there is no restriction except that between the 12th and 18th week, the woman must meet with a social worker, and after the 18th week the National Board of Health and Welfare must sign off. Their abortion rate was higher than here despite having liberal abortion laws and yet much better social services. 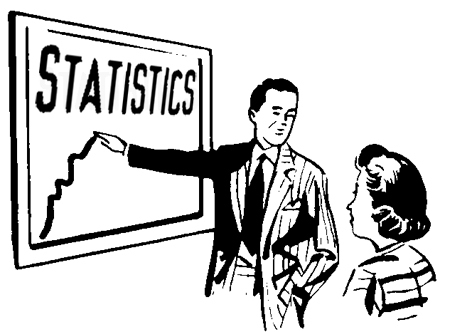 What do all these statistics tell us? Well, that’s hard to say. It wouldn’t be surprising that abortion rates in Latin America are higher when so many basic needs are not met. Still, there is the case of Costa Rica. Abortion is illegal there, and while they have a stronger social safety net, poverty is high. The nation scored #48 on the Human Development Index (an index compiled by the UN that includes health, poverty, access to education and social services). Yet their abortion rate in 2008 was several points lower than Norway’s which scored #2 on the same index. Outlawing abortions doesn’t stop abortions. That’s certainly true. But, then, that’s the question: does limiting access to abortion through law at least curb the rate of abortions, and does this have a greater effect than a robust social safety net? I think the Scandinavian nations tell us quite clearly that regardless of the social safety net, which is essentially the same across Scandinavia, the laws limiting access to abortion work. Finland has the lowest poverty index and it also has the strictest laws as well as the lowest abortion rate. Sweden has a lower poverty index than the U.S., essentially the same abortion laws we have but on the other hand the social services of Finland, yet they have a higher abortion rate. Costa Rica has much stricter rules than any Scandanavian nation and the U.S., decent social services, high poverty when compared to us, yet a very low abortion rate. I don’t argue that social services should be ignored. But the claim in the second premise articulated above is that social services do MORE to reduce abortion rates than legal limitations to abortion. That’s just not true. Perhaps the successes in some countries is a result of a combination of factors: social services, strict laws and a culture than shuns abortion. Who knows, but the claim that legal limits are a dead end just doesn’t hold up to the facts. It should be mentioned that the abortion rate in the U.S. has been declining steadily for years now, seemingly regardless of whether a Republican or Democrat is in the White House. I suppose this is because of the overwhelming influence of Republican-backed anti-abortion legislation at the state level where so many Republicans are governors and/or hold the majorities in their congresses. But now that we’ve debunked the second premise, let’s look at the first premise: Catholics are bound to work towards reducing the number of abortions in this country. This document tells us the Church wants abortion to be illegal. Some Catholics will argue that the goal of Catholic action regarding abortion is to lower the rate. By making it illegal you increase the rate of unsafe abortions. Let’s lower the rate of abortions across the board by keeping it legal and safe and by increasing funding to social services. Sounds reasonable, but here’s the problem. The Church’s teaching is not about lowering the rate of abortions. Social justice demands that abortion be illegal because, as the bishops have said for years, any legal system that states it is okay to kill the unborn is fundamentally flawed. Some argue that making it illegal will result in prison terms for teens. But while some nations might deal with the problem that way, we need not do so. Older friends have told me that in the days when it was illegal in this country, a woman caught having an abortion wasn’t jailed. The punishment was visited upon the man involved. The presumption was that the man pressured the woman into having the abortion or refused to care for the child, both acts used to mean that a man was a coward and a letch… both of which used to be frowned on. The bottom line is that we cannot achieve social justice as a society unless abortion is illegal. That is what we believe as Catholics. 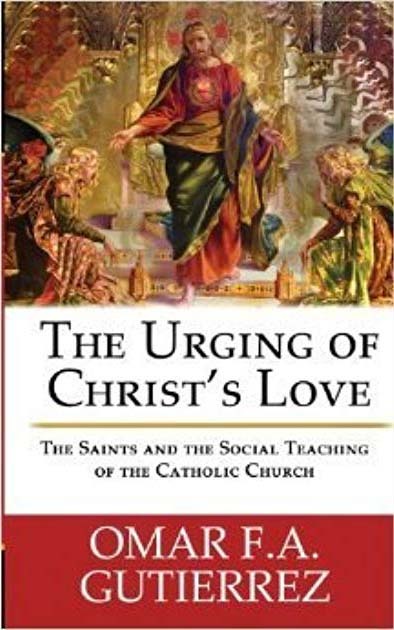 Until all Catholics, left and right, Democratic and Republican, start to get that, we will never be able to achieve the civilization of love which we are called to build right here, right now. In the meantime, Catholics who vote for pro-choice candidates because they believe they will save more babies’ lives that way, need to know that their well-intentioned efforts have no basis in reality.